Our community believes in lifelong learning tailored to the individual mind, heart and soul. 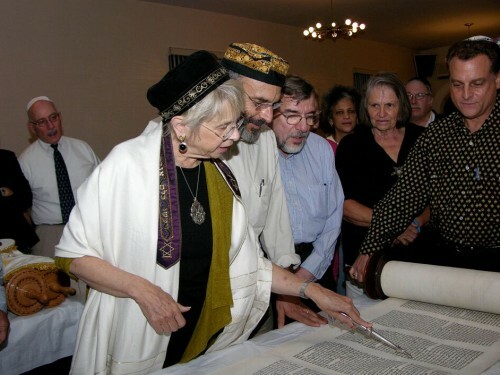 Our commitment is both highly traditional in Judaism (learning is one of the three legs on which the whole spiritual world stands) and profoundly modern (embracing free inquiry wherever it leads). The result is a refreshing, empowering and truly unique educational program that aspires to serve you – so please contact us with any personal requests or suggestions for educational opportunities. For information, please call Rabbi Shohama at 914.636.2504. Reb David, a renowned educator, works personally with everyone preparing to become bar mitzvah or bat mitzvah, at any age or level of prior education. Each person’s educational plan is uniquely tailored to the individual heart, mind and soul – spanning language, liturgy, Torah, ethics and spirituality – to provide truly meaningful and transformative experiences that last a lifetime. Persons interested in preparing for bnai mitzvah may wish to consult Reb David’s testimonials page, then please contact us as early as possible in the planning process. We offer year-round adult education series that nourish, inspire and challenge. Past adult education programs included Jewish philosophy and spirituality, Shabbat liturgy, Festival practice, “From Age-ing to Saging,” and group spiritual direction. Our annual cycle begins each fall and is open to new participants at any time. For our current offerings, click here. We commit to making teachings and sermons available to the public as a community service, reflecting our heart-centered focus. We also have a rabbinic blog of weekly teachings, and links for lifelong learning across the breadth of Judaism.